The upcoming Spiderman movie is premiering in theaters this weekend. I’ve been reading reviews, which have just come out, and Spiderman Homecoming is slated to be the best one yet. I think it's because they actually use a real high school kid, not like a 30-year old Andrew Garfield playing a 15-year-old, and there's a ton of life-lesson metaphors as takeaways (like, maybe, not using a 30-year-old to play a 15-year-old). Anyway, I'm STOKED! The movie poster for Spiderman Homecoming. Marvel Studios/Columbia Pictures. I love the fact most of the characters are played by actual high-school kids, and it’s a truly diverse cast, lead by Tom Holland, who did this crazy version of Rihanna’s Umbrella on Lip Sync Battle. To be honest, I was a huge DC comics fan when I was a kid, not Marvel. Think: Justice League, Aquaman, Booster Gold, Batgirl. I don’t read comic books anymore, but Hollywood turned me on to Marvel with movies like X-Men that was still very nostalgic. Spiderman movies are fun as hell, and die-hard fans can actually visit movie locations filmed in famous New York City spots, courtesy of New York Magazine. I know nobody reading this is really going to geek out and hit up every spot but, hey, at least now you have something to do when you're in NYC! 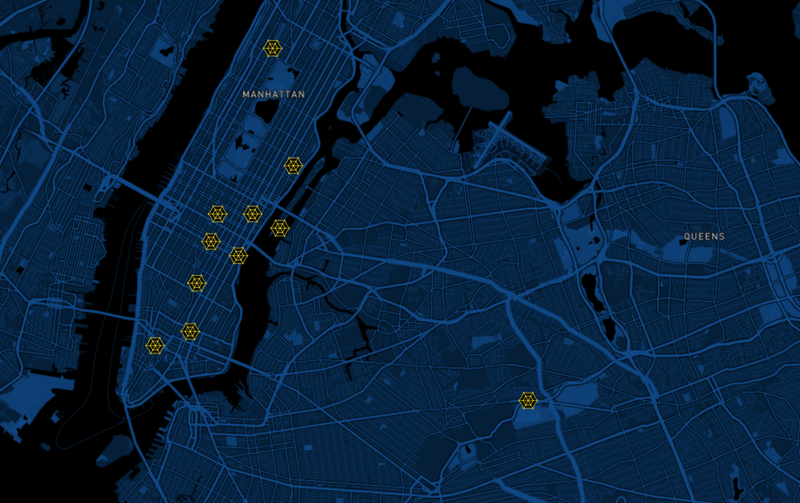 Map of Spiderman movie locations, courtesy of New York Magazine's Vulture.